We offers various hardware pieces for auto racing seat belt and harness installation. 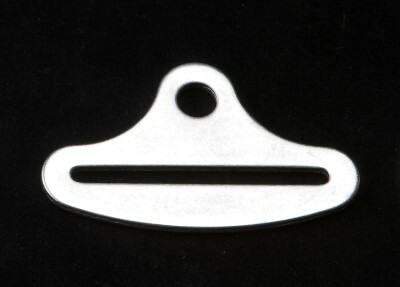 All RaceQuip hardware is forged from premium quality SAE 1050 steel, then cadmium plated for corrosion resistance. 2 inch ends can be used on 3 inch belts by folding them where inserted through the fitting.